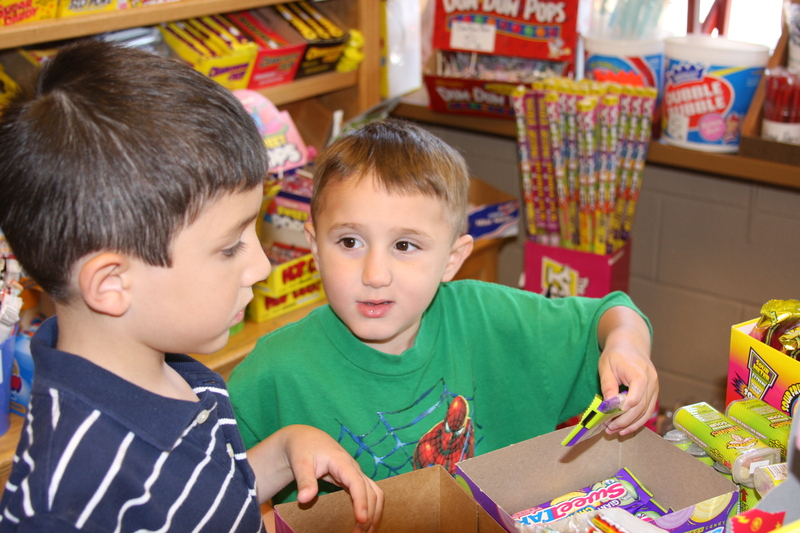 Our sweet grandsons arrived on a Thursday evening and the first thing they wanted to do on Friday was visit the candy store located in our Lakeside neighborhood. This has become a tradition for them when they visit from Texas. 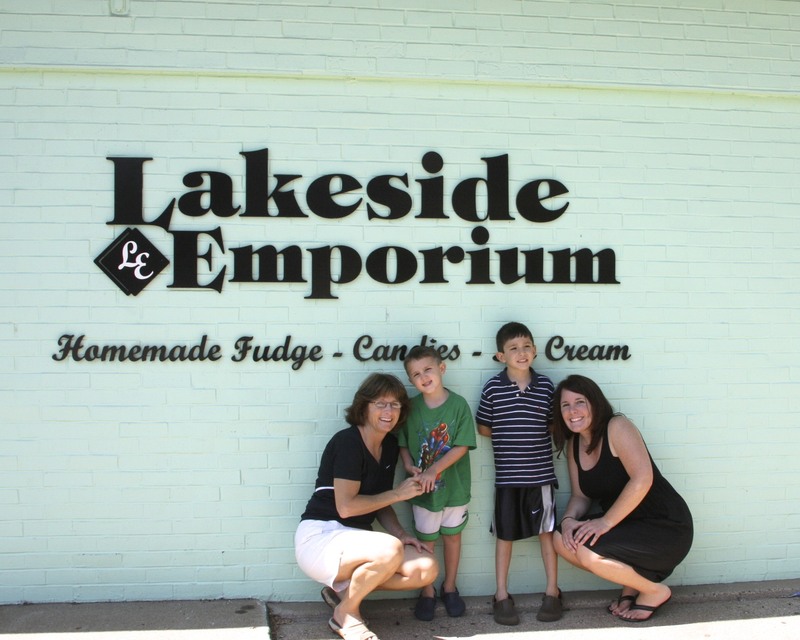 Visiting this candy store is a really special experience because of owners Laureen and Gary’s friendly personalities. Happy music greets you outside their store as you walk up to the entrance. Once inside Laureen flashes her heartwarming smile and remembers your name. The delicious smell of homemade fudge permiates their quaint candy store. As you look around you’ll find a great assortment of candy to please everyone. The prices will fit everyone’s budget because they have candy ranging from one penny on up. And after making your selection Gary is patiently waiting at the cash register as little kids drop their coins on the counter and Gary helps them count to make sure they have enough money or helps them decide what to put back. One year our oldest grandson Cole had a summer reading project which involved a paper cutout of a boy named Flat Stanley. When our grandsons came for their summer visit, Cole brought Flat Stanley along. A few days into their visit, Flat Stanley came up missing. We looked around the house but couldn’t find him and started retracing our steps since their arrival. Since we had been to the Lakeside Emporium we called them and asked them if they had seen Flat Stanley. They said they hadn’t but would keep an eye out for him. On Sunday morning we got a call from Gary at the Lakeside Emporium, he said they had found Flat Stanley among the candy containers. The first time I met Laureen and Gary was while I was working at Transnation Title. I ordered carmel apples for some of our clients. The apples were wrapped beautifully and they were a big hit with our customers. I continued to order corporate gifts for our clients and they always exceeded my expectations because of their amazing customer service. If you have never visited the Lakeside Emporium in Muskegon please put this on your must visit places in Muskegon list. You’ll be so happy you did. Love the place- two of my grandchildren live in Lakeside and we love to visit there!